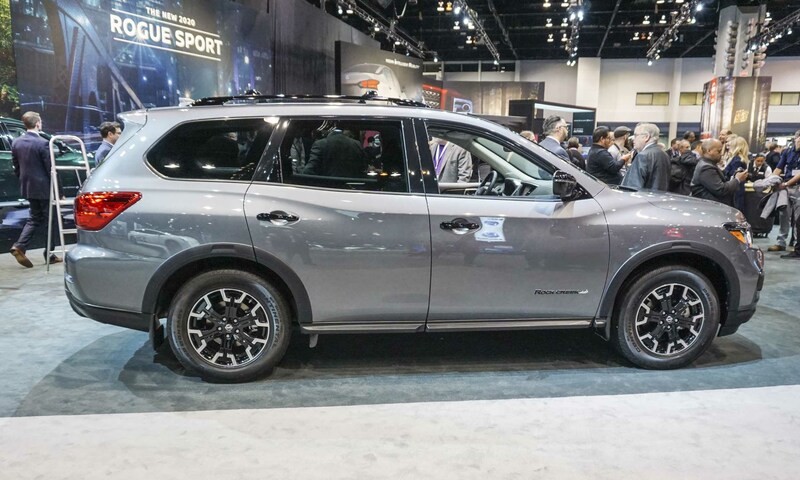 During press preview days at the 2019 Chicago Auto Show, Nissan debuted a new version of the time-honored Pathfinder as well as an update to the relative newcomer, the Rogue Sport. The Pathfinder Rock Creek Edition includes exterior trim and equipment updates along with unique interior details. 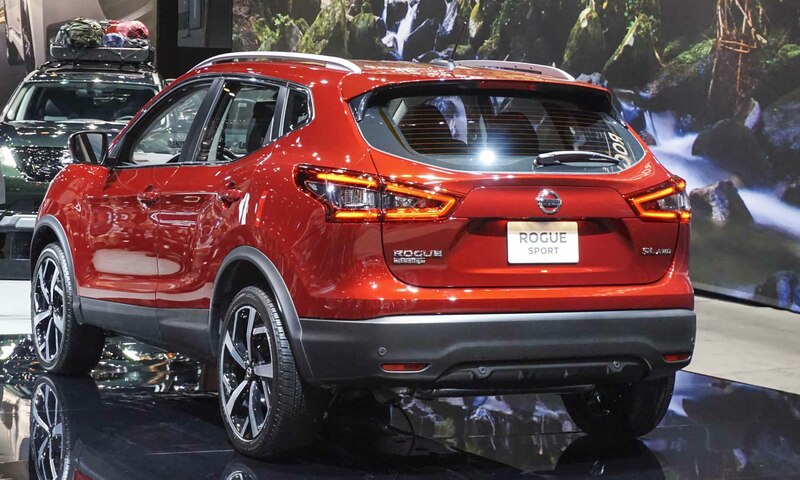 The 2020 Rogue Sport receives a refreshed exterior design and Nissan Safety Shield 360 standard for all trim levels. 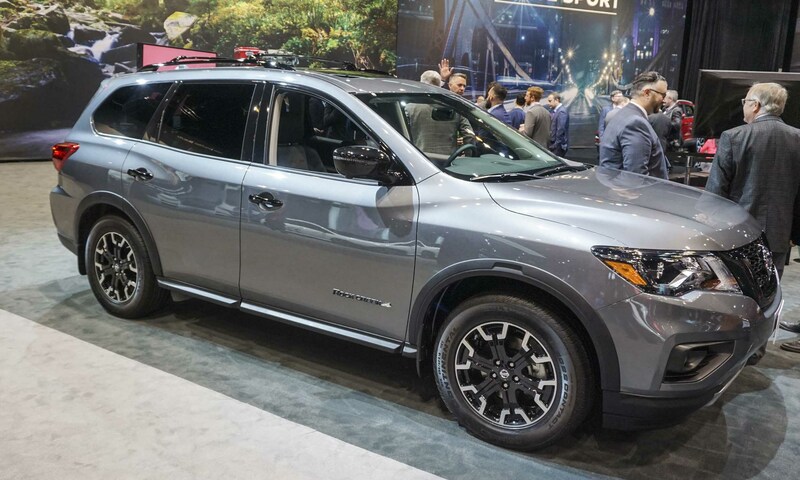 The new Pathfinder Rock Creek Edition is differentiated from other versions of the crossover SUV via a black mesh grille, dark 18-inch wheels, black molded fender guards, 255/60R18 all-season tires and black front and rear fascia accents. Other black elements include roof rails, door handles, mirrors, license plate surround and badges, with Rock Creek badges on the doors and liftgate. 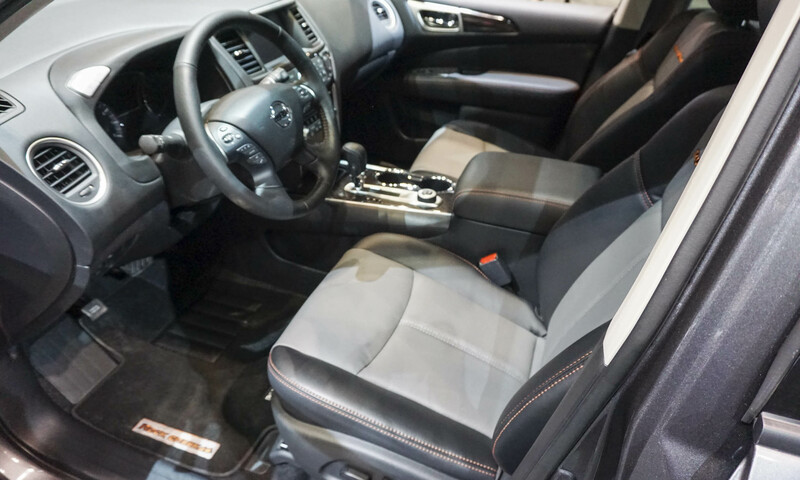 Inside, the Rock Creek Edition features two-tone seating surfaces, Rock Creek embroidery on the front seatbacks, premium metallic interior trim, Rock Creek floormats and contrast stitching for the seats, doors, console lid and steering wheel. The 2019 Pathfinder comes in four trim levels: S, SV, SL and Platinum. The Rock Creek Edition is available on the SV and SL trims in a choice of seven exterior colors; both 2- and 4-wheel drive are available. The Rock Creek package costs $995 and, according to the Nissan, represents a saving of up to $1,315 compared to similar equipment priced separately. A trailer tow hitch, harness and splash guards are standard for the Rock Creek Edition. This niche crossover possesses the same powertrain motivating all Pathfinders: a 3.5-liter V6 producing 284 horsepower and 259 lb-ft of torque, combined with an Xtronic continuously variable transmission. Two option packages are available for this special-edition Pathfinder: the SV Rock Creek Edition Technology Package priced at $980, and SL Rock Creek Edition Premium Package priced at $2,110. The SV Technology Package includes NissanConnect with Navigation and Services; SiriusXM Traffic; NissanConnect Services powered by SiriusXM4; heated cloth front seats; a heated steering wheel; and heated outside mirrors. The SL Rock Creek Edition Premium Package adds a Bose 13-speaker premium audio system and a power panorama moonroof. 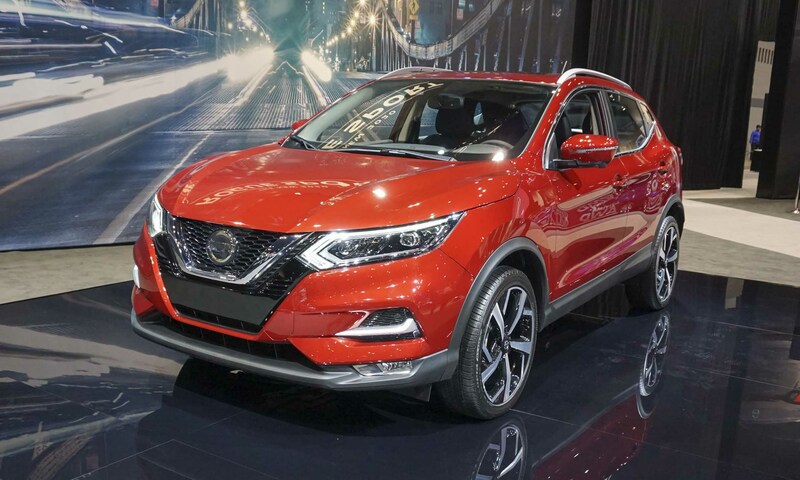 The revised 2020 Nissan Rogue Sport features a new front-end design to differentiate it more from the larger Nissan Rogue with a new hood, deeper V-Motion grille, a new front bumper and new headlights with LED signature daytime running lights. Also added are new rear combination lights, a new 19-inch wheel design and two more exterior colors: Nitro Lime Metallic and Monarch Orange Metallic. 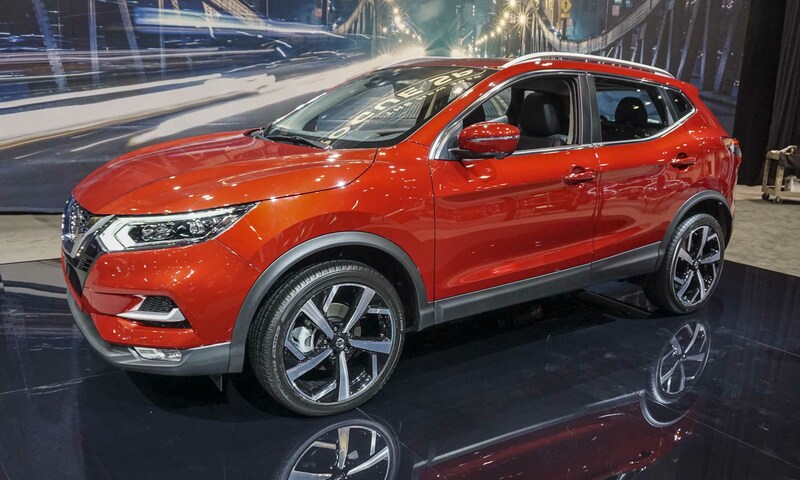 For 2019 Rogue Sport added a number of features that continue for the 2020 model, including available ProPILOT Assist, Nissan Safety Shield 360, an updated audio system with standard Apple CarPlay and Android Auto, and an available Bose audio system with nine speakers. Nissan Safety Shield 360 — standard on all trim levels — includes automatic emergency braking with pedestrian detection, rear automatic braking, lane departure warning, radar-based blind-spot warning, rear cross-traffic alert and high-beam assist. 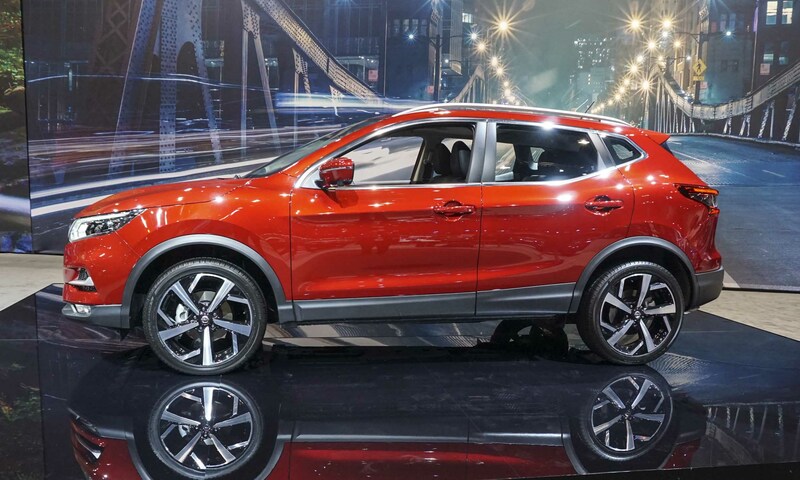 For the 2020 model year, Rogue Sport will be offered in three trim levels: S, SV and SL — all powered by a 141-horsepower 2.0-liter engine combined with Xtronic continuously variable transmission with Eco Mode switch. The standard drive configuration for 2020 Rogue Sport is front-wheel drive with available intelligent all-wheel drive. A rear door alert system is standard and ProPILOT Assist is available as an option. ProPILOT Assist is a driving-assistance technology that reduces the amount of driver acceleration, steering and braking input under certain conditions. 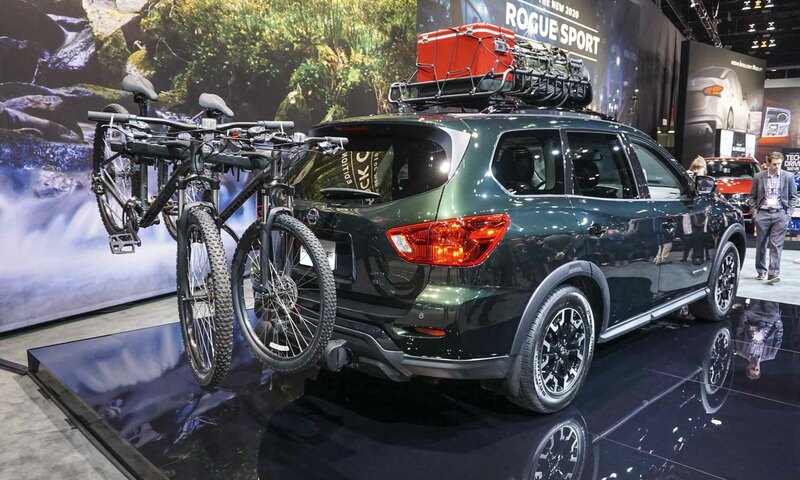 The Rock Creek Edition of the 2019 Pathfinder is scheduled to go on sale in spring 2019, and the updated 2020 Rogue Sport is slated to go on sale in fall 2019. 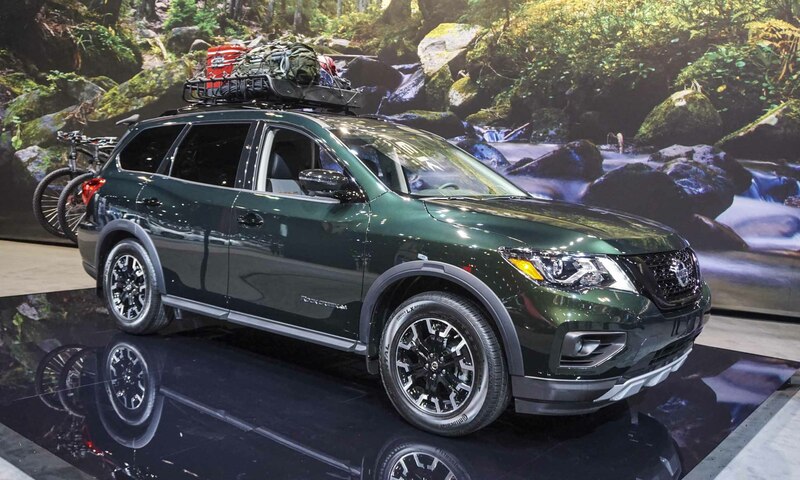 The post 2019 Chicago Auto Show: Nissan Debuts 2 Crossovers appeared first on autoNXT.net.